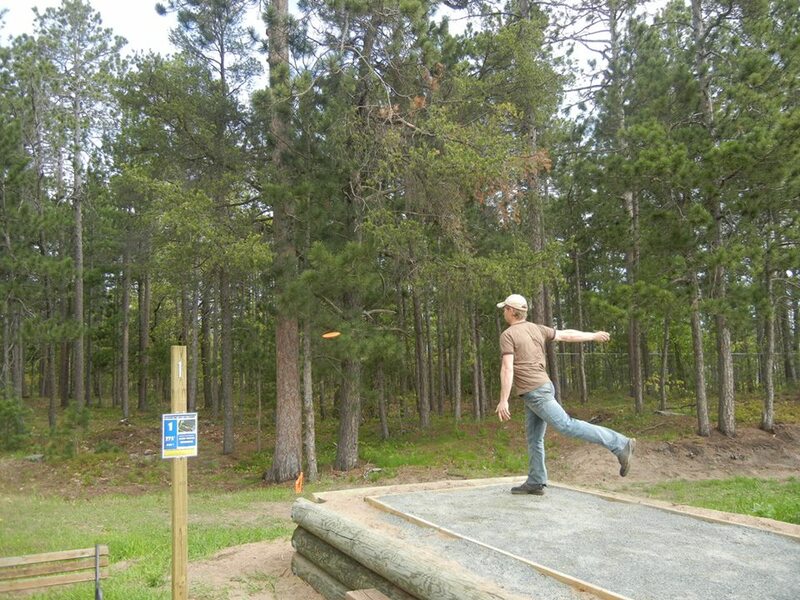 Play along the Dead River, throw from atop rock outcroppings, traverse the rocky wooded ridges, and enjoy a mostly wooded course which demands accuracy and control. Dual tees (Red and Blue). Hole lengths range from 525 - 190' from Blue tees, and 330 - 120' from Red tees. At the Kaufman Sports Complex. 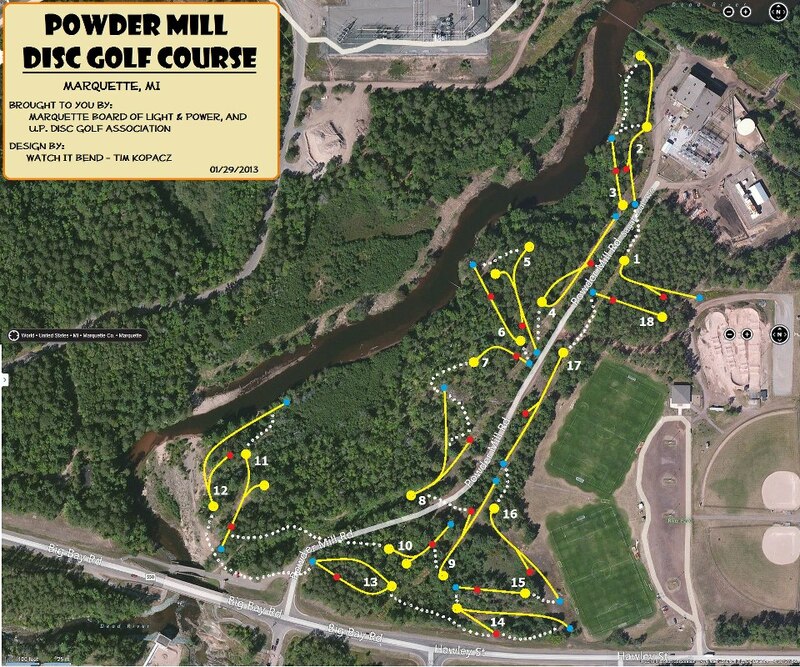 Take Hwy 550 north past Sugarloaf Ave. to a right on (unsigned) Powder Mill Rd (before crossing the Dead River). Follow signs back to the BMX track. Park in one of those two lots by the 1st tee and the welcome board. 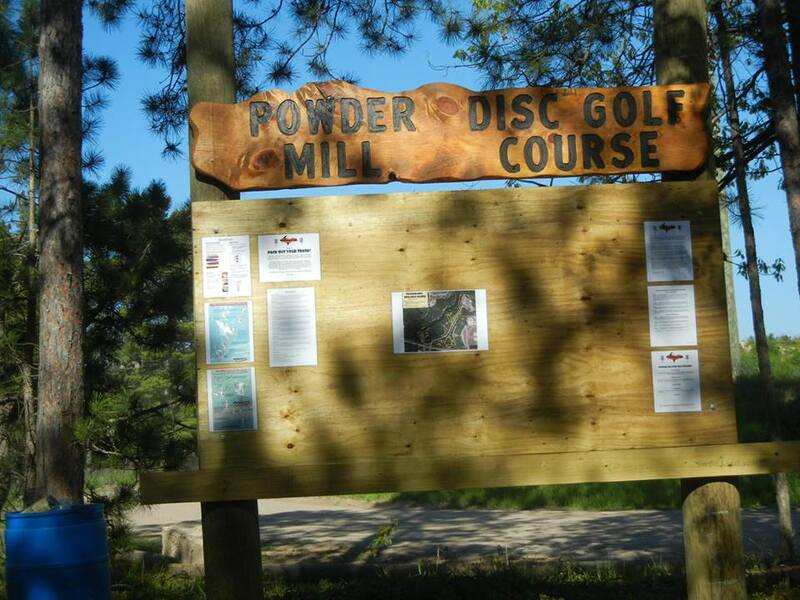 Have you played at Powder Mill Disc Golf? Be the first person to review this course!